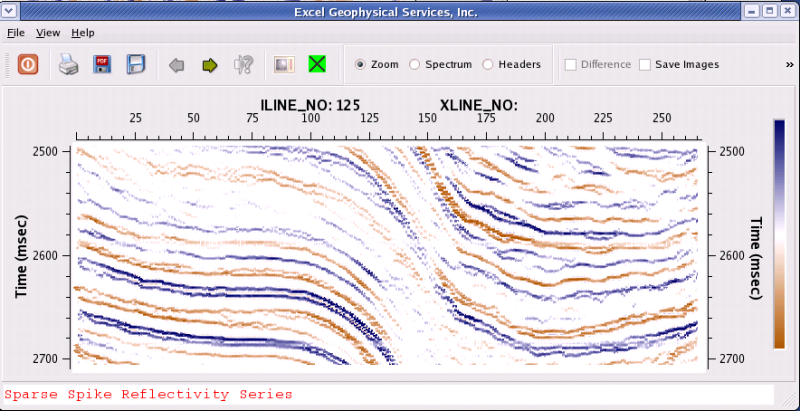 Enhance 3D imaging and improve the structural interpretation of seismic data by extending the usable bandwidth of the seismic spectrum into higher frequencies. Lower frequencies generallly travel through the subsurface relatively unattenuated and with reasonable signal-to-noise ratios. But higher frequencies get lost which means recording lots of noise and little signal at the higher end of the frequency spectrum. Conventional whitening and deconvolution will change the frequency content of the data but is limited by the signal-to-noise ratio at any frequency. This tool will enhance the higher frequencies in the data without increasing the noise across the entire bandwidth of the data. 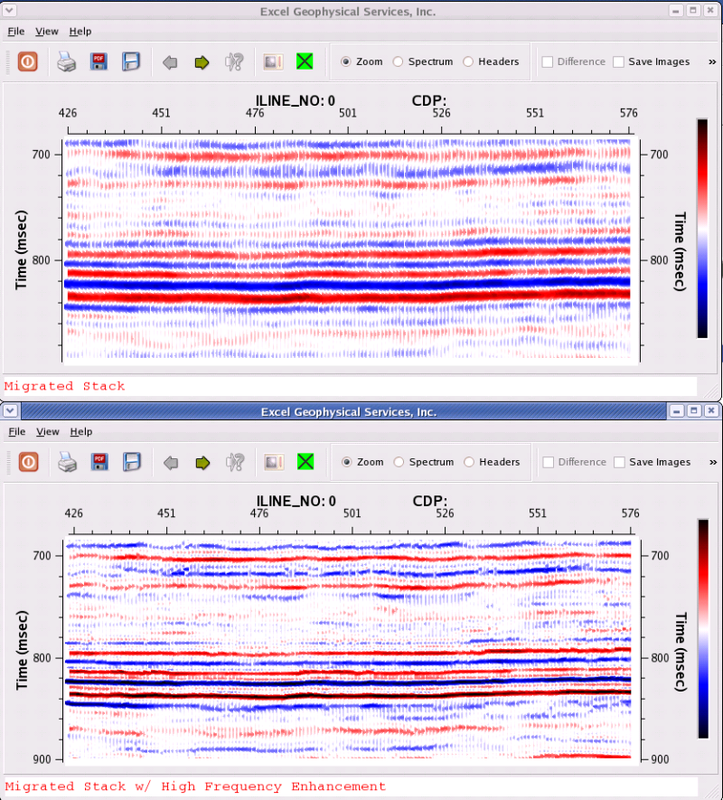 Seismic line, a) Normal stack, b) with High Frequency Enhancement. 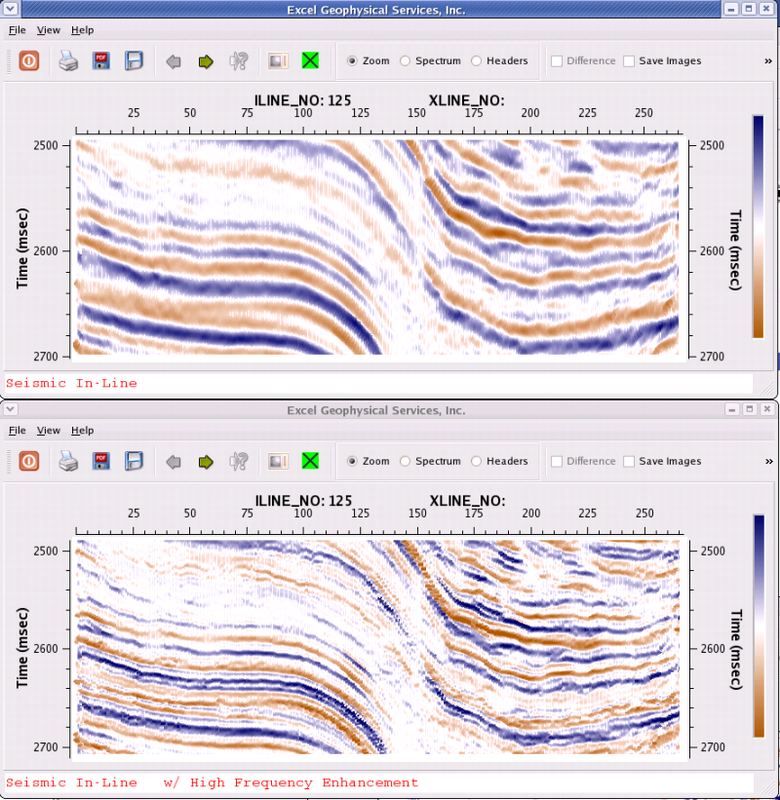 Seismic line with and without High Frequency Enhancement.